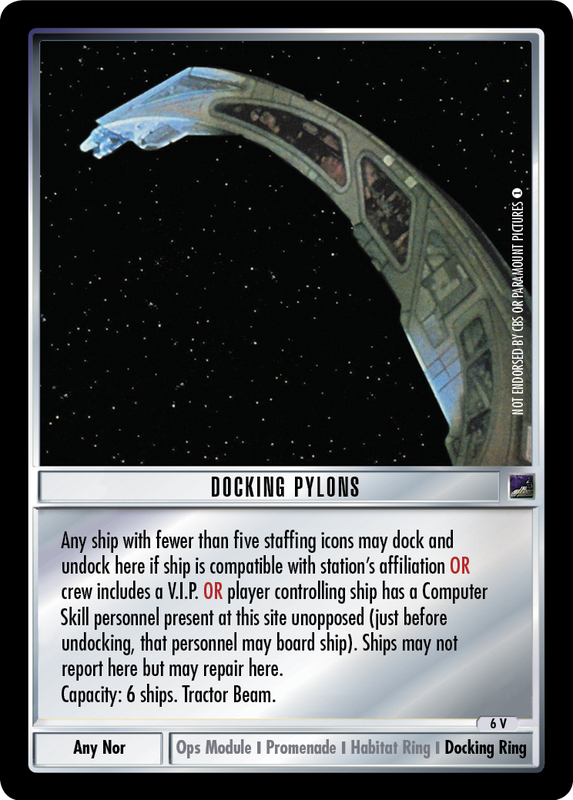 Any ship with fewer than three staffing icons may report, dock and undock here if ship is compatible with station's affiliation OR crew includes a V.I.P. 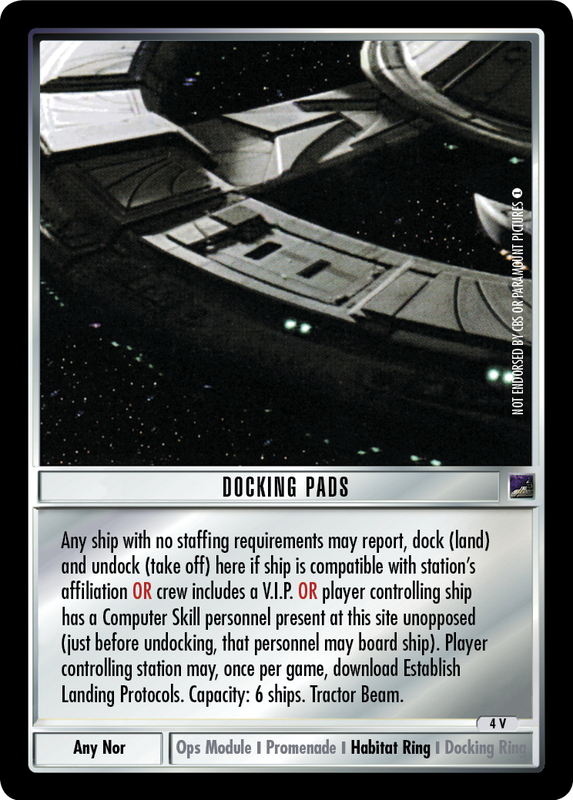 OR player controlling ship has a Computer Skill personnel present at this site unopposed (just before undocking, that personnel may board ship). Freighters and transports report for free here. 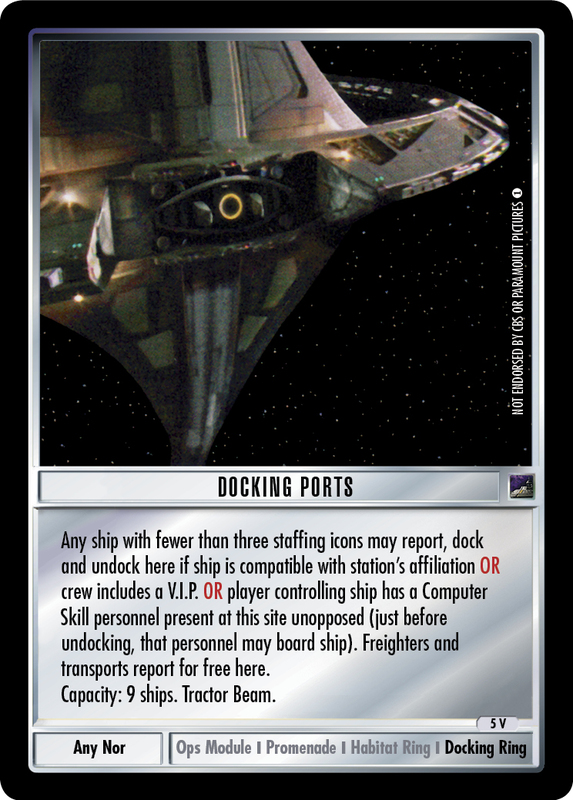 Capacity: 9 ships. Tractor Beam.